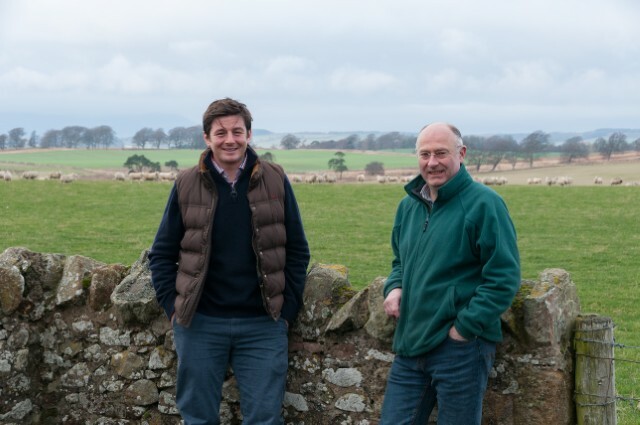 Farmers attending the next Lothians Monitor Farm meeting, hosted by Bill Gray and Peter Eccles, on Wednesday 17 October will find out how the farms’ cereals and livestock have performed over the long, hot summer. The day will begin with a harvest round up from Bill, who will reveal how his arable crops have performed, before Peter takes the group through how the sheep and cattle have fared. On the arable side, discussion will centre around this year’s yields with a big variation in the performance of the arable crops, largely down to the difficult weather. Bill said: “I’m looking forward to the next meeting where we can discuss the 2018 harvest year and look at the results – some of which have been very pleasing and some hugely disappointing. We’ll also discuss some of the plans that we touched on at the last meeting. The group will visit the Pitscave field, which is part of the collaborative project between Prestonhall and Saughland Farms. The field is on Prestonhall Farm but is being turned to grass with the aim of providing grazing land for Saughland’s sheep, while hopefully improving the soil quality for future arable crops. The field was recently reseeded and initial grass growth looked poor. However, it seems to have recovered in time for some of Pete’s sheep to use it for winter grazing. On the livestock side those attending will be asked to contribute to future plans for the farm in a number of other areas including the grazing system for sheep and cattle, especially with the ewes entering the pre tupping period; a discussion on establishing winter kale; and how and when to use fodder beet. The meeting on 17 October will be begin on Rosemains Farm, Pathhead, EH37 5UQ. All are welcome and the event is free. Tea and coffee will be available from 9.30am and lunch will be provided. However, for catering purposes, those interested in coming along should confirm attendance with Colin MacPhail on 07747 046461 or at colin@macphailconsulting.co.uk. The meeting is expected to finish by 2.30pm.